A new French luxury jewelry brand opened recently in the Middle East, Mauboussin, with two branches in Lebanon (one in ABC Dbayeh and the second in ABC Achrafieh). I have been checking their ads on the roads, their Facebook page, twitter and Instagram account and it made me fall more and more in love with the world of gemstones and unique jewelry. Why have I chosen “Pearl” in specific? Pearl for me is a delicate soft stone, yet it can be worn on a daily basis and you would still have a simple style. And more specifically, because “Pearls” are considered the least understood of all gemstones, not all sales persons in jewelry stores have proper information about them. So i said to myself, it’s time to have a small research and learn all the basics about them. The unique luster of “Pearls” depends upon the reflection, refraction, and diffraction of light from the translucent layers. The thinner and more numerous the layers in the pearl, the finer the luster. The iridescence that pearls display is caused by the overlapping of successive layers, which breaks up light falling on the surface. 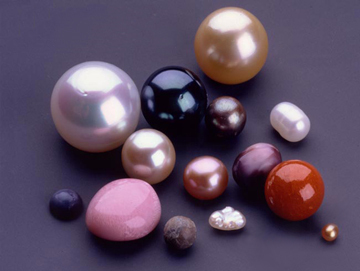 In addition, pearls (especially cultured freshwater pearls) can be dyed yellow, green, blue, brown, pink, purple, or black. The very best pearls have a metallic mirror-like luster. There are two basic varieties of cultured pearls; freshwater and saltwater. Freshwater pearls are grown primarily in man-made lakes and reservoirs in China. Saltwater pearls, which include Akoya, Tahitian and South Sea, are grown in bays, inlets and atolls in many places around the world. Saltwater pearls are considered more valuable than freshwater pearls, although rare and very high-quality freshwater pearls can be exceedingly valuable. Pearls symbolize Purity, Spiritual Transformation, Charity, Honesty, Wisdom and Integrity, all the best within us. Pearls provide a clear vehicle for the advancing states of wisdom, as well as a clean channel for receipt of spiritual guidance. Pearls can stimulate your femininity and help with self acceptance. They lift your spirits and make you feel calm and beautiful. They remind us to walk with Dignity. Since ancient times, the pearl has been a symbol of unblemished perfection. It is the oldest known gem, and for centuries it was considered the most valuable. A fragment of the oldest known pearl jewelry, found in the sarcophagus of a Persian princess who died in 520 BC, is displayed in the Louvre in Paris. To the ancients, pearls were a symbol of the moon and had magical powers. In classical Rome, only persons above a certain rank were allowed to wear pearl jewelry. 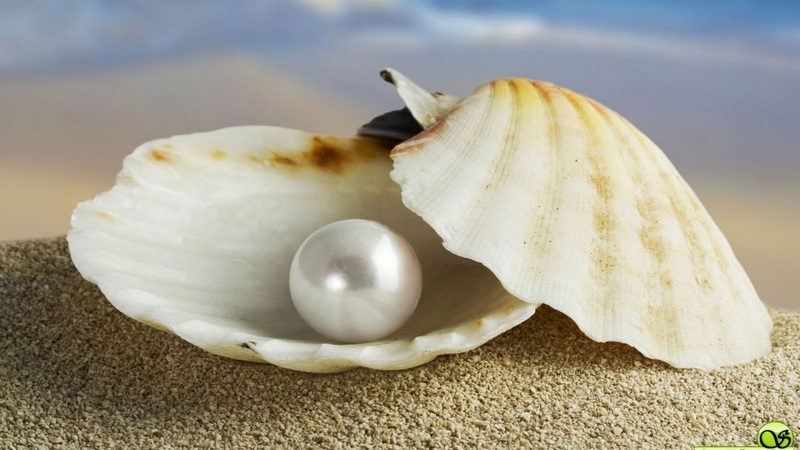 The Latin word for pearl literally means “unique”, attesting to the fact that no two pearls are identical. 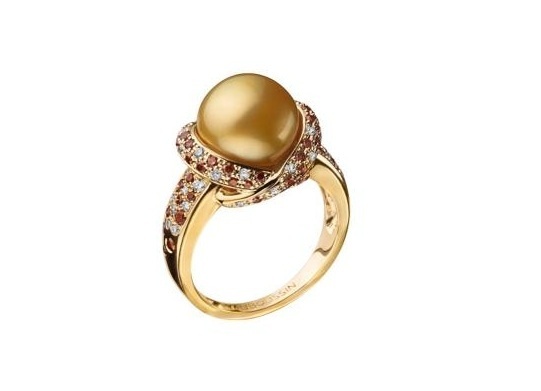 For those who were born in the month of June, the Pearl is their traditional birthstone. The June birthstone poem reflects some of the properties for the June birthstone Pearl, as modesty, chastity and purity. Pearls are the world’s only organic gemstone, and therefore, tend to be quite delicate. Proper care of your pearl jewelry is essential to ensure your investment will last a lifetime. Personal care products, such as perfume or hairspray, can severely damage the luster and beauty of a pearl. 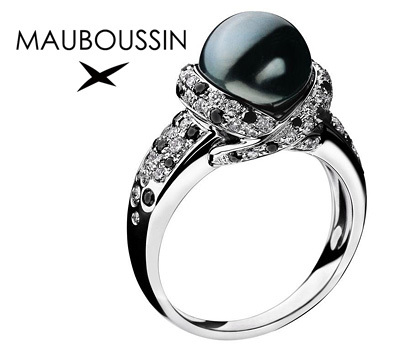 this unique piece is made of white gold, grey cultured pearl symbol of rareness, black and white diamond pavé. 1- How did you decide to start with your own Fashion Blog? I have always wanted to blog about my lifestyle mostly but I didn’t know how to start or what feedback I was going to get so, I decided to start a personal style blog and I named it “Fashion To Tracy”, a window to the stylish side of my life in January 2012. 2- What are the colors that you feel more comfortable with? I always try to stay away from Black. I was never that comfortable while wearing this color. I usually go for brights like blue, pink, coral during the Summer and white a lot. For Winter, I follow what colors are trending on the catwalk and what suits me best of course. 3- Do you have any new projects coming in? I recently styled some pieces of the Kardashian Kollection available at Dorothy Perkins Beirut City Center. But, an upcoming project? I will leave it as a surprise! I’ve been hooked on online shopping lately with my shopaholic friends, and among the multiple online sites, i’m admiring Chou Chic! They have lots of nice outfits for men, women, children and home accessories! – Karung snake pumps by Nicholas Kirkwood: Simple, chic and trendy, just how i like it! – Lipstick Tee: Cute & fun for the summer, you can pair it with shorts and those snake pumps for a casual chic day with friends! – Lace Ruffle Dress from DKNY & Beyond: simple and cute for the hot summer days. Cavalli Caffe opens in Beirut! Pragma Group, a leading conglomerate of world class brands and companies owned by Joe Tabet, announces the expansion of the Cavalli Caffè franchise in 20 markets across the region with the most recent launch of the second venue in Kuwait following the successful launch of the first in Beirut. The Pragma Group owns and operates Cavalli Caffè Beirut and plans are in the making to have Cavalli Caffè open its doors in the UAE, KSA, Qatar, Turkey, Egypt and Bahrain in the next two years. Also in the pipeline are the Asian cities of Shanghai, Beijing, Nanjing, Suzhu, Hangzhou, Taipei, Macau, Chengdu, Tokyo, Seoul, Bangkok and Singapore. “We are proud to be spearheading the franchising process of Cavalli Caffè in the Middle East & Asia and to be strengthening ties with the Roberto Cavalli Group through this visionary expansion plan. We are not just bringing the business to places but also of extending the Cavalli lifestyle experience to more parts of the world. We can assure you that no matter where we take Cavalli Caffè, it will always be an epitome of Roberto Cavalli’s style and charisma reflected in the high quality ingredients and design of the dishes along with the décor and ambiance of the venue, bespoke music and boutique offering,” Joe Tabet, Chairman of Pragma Group said. Cavalli Caffè offers a mouth-watering selection of the finest Italian cuisine is suitable for morning brunches, trendy lunches, lounged afternoons and glamorous evenings. Cavalli Caffè will also offer a wide range of imported Italian gourmet chocolates made of the finest ingredients. Additionally, all the upcoming caffès will also be adorned with Cavalli’s signature creative touch mirrored in the zebra and giraffe prints, fashionable chairs and sofas as well as other striking details of the contemporary interior. I loved the place and I’ve been there several times with my friends. This summer Metropolis goes Outdoor. In partnership with The Gärten by Überhaus the Metropolis Association is pleased to present, for the first time in Lebanon,” Night Riders” an open air road movie cycle. 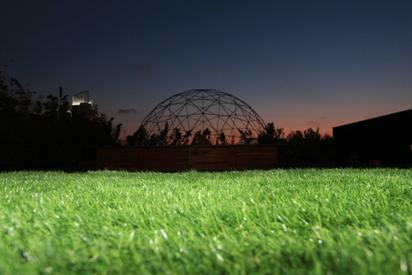 The cycle will take place at Überhaus’ surreal, new summer venue: The Gärten, located in Biel, Downtown Beirut. Cult Classic road films will be screened at this beautiful spot, followed by an after party featuring some of the biggest international DJ’s in the world. Night Riders will be held between the 20th of July and the 12th of October 2013. Four films are scheduled to be screened at a rate of one screening per month. The films will be projected on a 9m x 4m screen and the sound will be powered by a Funktion One Sound System for a full cinematic outdoor experience! This road film cycle will open with the landmark roadie Easy rider. Produced by Peter Fonda and directed by Denis Hopper in 1969, this film was nominated for best screenplay at the Academy Awards. Easy Rider is a tale of hippie bikers on a journey to New Orleans, searching for a freedom that they can never truly attain. Also scheduled is Ridley Scott’s, Thelma and Louise, a touching film that takes the viewer on a journey with two women who decides to put drudgery and men behind them for a few days. Starring Suzan Sarando and Geena Davis, the film won the Oscar for Best writing Screenplay in 1991. The third screening features the Winner of the 1990 Palme d’Or at the Cannes Film Festival, Wild at Heart is a rollercoaster ride to redemption through an American gothic motif told through the lens of the fascinating David Lynch. This cycle will wrap up with the Argentinean film The Motorcycle Diaries by Walter Salles. The film won the 2005 Academy Award for best achievement in music written for a motion pic­ture. Starring Gael Garcia Bernal as a young medical student, Ernesto “Che” Guevara travels across South America on a motorcycle. The Motorcycle Diaries offers a unique insight on the formative years of the famed revolutionary. For more information you can check Metropolis Cinema and uberhaus Facebook Pages. Discover Beirut from Four Season’s Hotel Rooftop Pool! There are few things that can beat a summer break in Beirut. From great cuisine, to lounging by a pool in perfect weather, experience the city like never before with a special Pool Package at Four Seasons Hotel Beirut that brings together the best of Beirut in summer indulgences. The special package introduces guests to the Hotel’s favorite spots, with a daily full breakfast buffet at The Grill Room, with views out to the sparkling Mediterranean. Guests can enjoy long days lounging by the highest rooftop pool in the city – a quintessential Beirut experience, offering a birds-eye view across the entire city. To make the most of their stay, guests can also avail of an early check-in at 10:00 am and a late check-out at 6.00 pm. There are other perks in store such as a single for double room occupancy, an upgraded room amenity, a 25% discount on all spa treats and a complimentary room upgrade on availability. 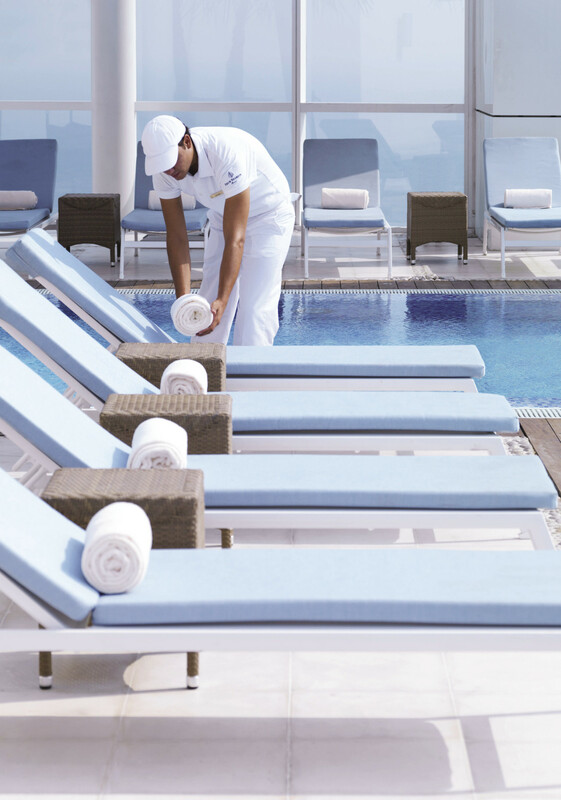 The Pool Package at Four Seasons Hotel Beirut is valid till September 30th. Bookings can be done directly through the Hotel’s reservation team or online.